Little-League-Rules .... Batter Up Let's Play Ball ! Little-League-Rules, generally speaking have used the official rules of Major League Baseball (MLB) and simply modified the application where it is deemed neccessary or prudent to protect the safety of young players. Interesting enough on my last visit to Little League Online or the Little League International site I learned that now the general public is allowed to purchase the Official Little- League-Rules Book. You may go directly to the Official source for most of your questions and answers about Little-League-Rules Little League International. Major League Baseball Official Rules When you reach this page scroll down to near the bottom left of the page and click on "Official Rules." Armed with the knowledge that Little-League-Baseball-Rules follows the official or standard baseball rules we have known through these many years but simply adapted to apply to young players safety and health. One of the first things to understand about little-league-rules is to fully grasp the fact that the Little League International Organization provides for separate divisions or age groupings for the application of the rules. Little-League-Rules are designed and will apply differently for each age group in many instances. there is no such thing as here are the Little League Rules which apply equally across all the age groups. There are seven (7) different age groups under the auspices of the little-league-rules and the International Charter for Little League Baseball and consequently the Little-League-Rules. What a quantum difference from the kids growing up during the 1940s and 1950s and playing by our baseball playground rules. All of these Divisions come within the aegis of Littl-League-Rules. 1)Tee Ball Tee Ball Baseball is for boys and girls 5-6 years old (with a local option for 7- and/or 8-year-olds) who want to learn the fundamentals of hitting and fielding. This age group also plays within the little-league-baseball-rules. In Tee Ball, players hit a ball off a batting tee. Rules of the game may be varied to accommodate the need for teaching. The primary goals of Tee Ball are to instruct children in the fundamentals of baseball and to allow them to experience the value of teamwork. Rosters may be composed of between 12 and 20 players, but most leagues have rosters in the 12-15 range. No live pitching is permitted in this division. Generally, the diamond used is a 60-foot diamond, but the league has the option to use a 50-foot diamond. 2)Minor League Baseball Minor League Baseball programs for boys and girls may be operated within each division for younger players with less experience. The minor league may be players ages 7-12. Divisions may be established within the Minor League for "machine pitch," "coach pitch" or "player pitch." By local option, a player who is league age 6 for the current season and has played a year in Tee Ball may be "moved up" to a coach pitch division. A local league might have its 7-8-year-olds in the Minor League Coach Pitch Division, while its 9-10-year-olds are in the Minor League Player Pitch Division. However, by local option, some of the 9-year-olds could "play down" in the coach pitch division, and some of the 8-year-olds could "play up." This is entirely the choice of the local league board of directors. Rosters may be composed of between 12 and 20 players by little-league-baseball-rules, but most leagues have rosters in the 12-15 range. The diamond used is a 60-foot diamond and the pitching distance is 46 feet. 3)9-10 Year Old Baseball Division The 9-10 Year Old Baseball Division for boys and girls was established as a tournament program in 1994. It gives children of this age the opportunity to experience tournament competition, up to state level. Players on these teams can be chosen from among Major Division and/or Minor Division teams. The diamond used is a 60-foot diamond and the pitching distance is 46 feet. 4)Little League Baseball (or the Major Division) The Little League Baseball Division (sometimes known as the Major Division) is for boys and girls ages 9-12. A local league may choose to limit its Major Division to 10-, 11- and 12-year-olds, or 11-12-year-olds. The diamond used is a 60-foot diamond and the pitching distance is 46 feet. The local league has an option to choose a Tournament Team (or "All Stars") of 11-12-year-olds from within this division, and the team may enter the International Tournament. The culmination of the International Tournament is the Little League Baseball World Series, featuring teams from around the globe. All expenses for the teams advancing to the World Series (travel, meals and housing) are paid by Little League Baseball. IMPORTANT: A local league by little league-rules must only have ONE Major Division. For instance, if the local league has all 11-12 year olds in the Majors, and all 9-10s in another division, then the 9-10s MUST be considered a Minor Division. 6)Senior League Baseball The Senior League Baseball Division is for boys and girls 14-16 years old, using a conventional 90-foot diamond with a pitching distance of 60 feet, 6 inches. The local league by little-league-rules has an option to choose a Tournament Team (or "All Stars") of 14-16-year-olds from within this division (and/or from within the Junior League or Big League divisions), and the team may enter the International Tournament. The culmination of the International Tournament is the Senior League Baseball World Series, featuring teams from around the globe. All expenses for the teams advancing to the World Series (travel, meals and housing) are paid by Little League Baseball. 7)Big League Baseball The Big League Baseball Division is for boys and girls ages 16-18, using a conventional 90-foot diamond with a pitching distance of 60 feet, 6 inches. The local league by little-league-rules has an option to choose a Tournament Team (or "All Stars") of 16-18-year-olds from within this division (and/or from within the Senior League Division), and the team may enter the International Tournament. The culmination of the International Tournament is the Big League Baseball World Series, featuring teams from around the globe. All expenses for the teams advancing to the World Series (travel, meals and housing) are paid by Little League Baseball. "In (MLB)Professional Major League Baseball , it is a base runner’s choice whether or not to slide. He can run into an opponent instead. In little-league-rules, a player is automatically out, and perhaps even ejected, if he/she does not try to slide and avoid contact with a defensive player at a base. In addition, a player may not slide head-first into a base unless returning to a bag or in a rundown play." These differences between Little-League-Rules for Little League baseball and Official Baseball Rules refer to the Official Rules, which are available on the World Wide Web at MLB.com, a service of Major League Baseball Advanced Media. 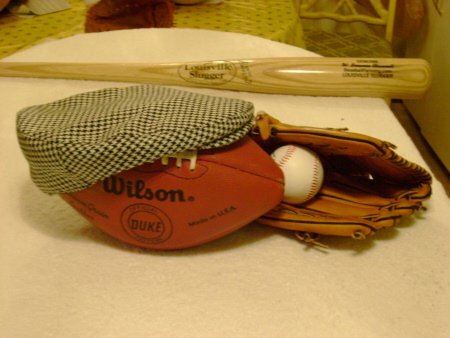 The Official Baseball Rules are made by a committee led by Major League Baseball, but they are also used by the minor leagues of professional baseball, and also by most all other amateur leagues with slight modifications. The Official Rules’ references to specific fines and penalties for certain violations, all of which apply only to Major League Baseball, are disregarded here. By convention, the Little League Baseball Rules are noted as “LL”, and the Official Baseball Rule as “OBR”. Please note that these rules apply strictly to the Major and Minor League levels of Little League Rules. Higher levels use rules more consistent with the Official Rules. The actual rules of Little League Baseball Rules are copyrighted by Little League Baseball, Inc., and distributed only to chartered leagues. They are not available online. LL - Only manager, 2 coaches, and uniformed players are permitted on bench. Bat boys, etc., are not allowed. OBR - Trainers, bat boys, and any listed coaches are permitted in dugout. LL - Uniformed players; adult base coaches permitted provided one adult remains in dugout OBR - Non-roster players permitted, but must be in uniform. Note: Concerning the duration of game; All references by the OBR to the 9th inning are changed to the 6th inning in LL. 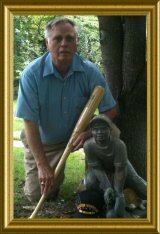 One has a keen appreciation for the learning curve required for being certified as a CPA for Little-League-Rules almost requires CPA certification to comprehend all the rules. Return to the Top of Little-League-Rules.